Coca-Cola brand, Schweppes, has introduced Schweppes Flavours – a new range of fruity sparkling drinks inspired by cocktails. While the new additions work well as mixers, the idea behind the range is to cater to the rising demand for mocktails, alcohol-free drinks at social occasions. The Mojito flavour is best served with ice and garnished with a mint sprig and lime wedge squeeze, and the Tropical Sunset with an orange slice and lemon zest, says the press release. 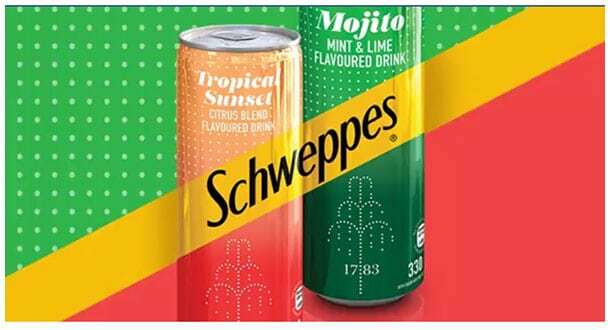 The new Schweppes Flavours are available in 200ml and 330ml ready-to-go cans.